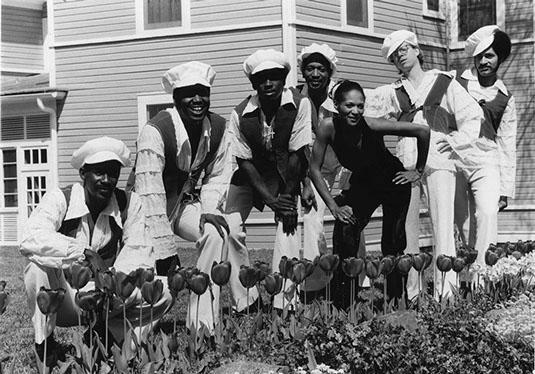 Vernelle Mack, pictured third from the right, posing with the U.S. Welfare Band. Soul was a mainstay in the Durham music scene during the 1960s and 70s. Durhamites were dancing to songs like "Bull City Party" in 1977. It’s one of many songs that show Durham’s soul music had strong ties to the city, and built lasting connections within the African-American community. Today, a group of artists and collectors is on a mission to archive and preserve Durham’s soul. The Soul Souvenirs exhibit is on display now at the Durham History Hub. 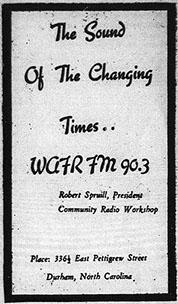 WAFR was an African-American community radio station that distributed soul music to the city. Host Frank Stasio talks with Joshua Clark Davis, co-creator of the exhibit and the website BullCitySoul.org, which officially launches tonight at 6 p.m. with a celebration at the museum, and Vernelle Mack, a Durham soul singer, who performs live. Durham's soul music spread through the city via radio stations like WAFR, which was a voice for the African-American community during the Black Power movement. Music teachers often included soul in their curricula at Durham's public schools. 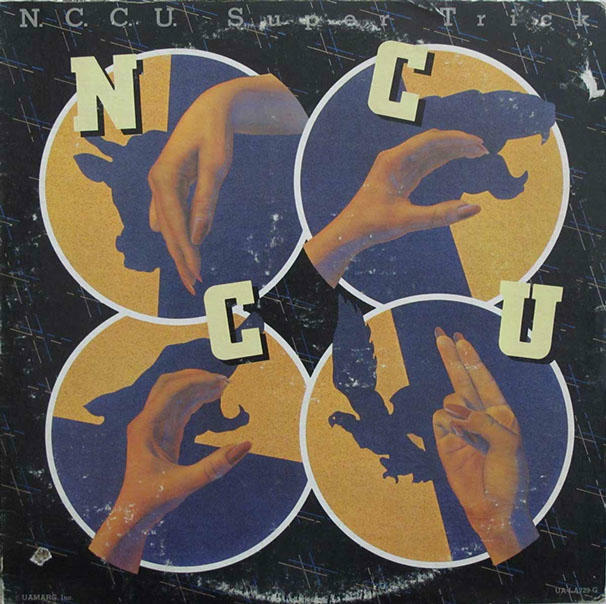 This album from the band NCCU is one of many on display at the Soul Souvenirs exhibit. Chapel-Hill based band Dark Water Rising mixes southern rock, gospel harmonies, and traditional Lumbee influence to create their "rocky soul" sound. They got together in 2008, when none of them had any formal music training. Since then, they have gained local and national recognition throughout Native American communities. You may have seen him at Fincastles in downtown Greensboro. He’s dubbed “the singing waiter” for his profession and his passion. Bobby “Jaybird” Williams and the Soul Central band bring the funk, as well as the R & B and soul, to the Triad. Host Frank Stasio talks to them, and they play live at the Triad Stage in Greensboro. Eastern North Carolina has yielded a rich crop of nationally recognized African American musicians. People like jazz pianist and composer Thelonious Monk. But many musicians hailing from this part of the state have gone unnoticed. A new book, African American Music Trails of Eastern North Carolina, takes readers on a musical journey through this overlooked region.